Silicon Ireland News - siliconirelandnews.com: €250,000 up for grabs for Irish Climate Change Pioneers! Ireland has earned its place in the EU’s Climate Knowledge Innovation Community (Climate-KIC), a knowledge sharing forum which aims to mitigate climate change and associated emerging societal problems by stimulating the emergence of a vibrant, low-carbon business community across Europe. 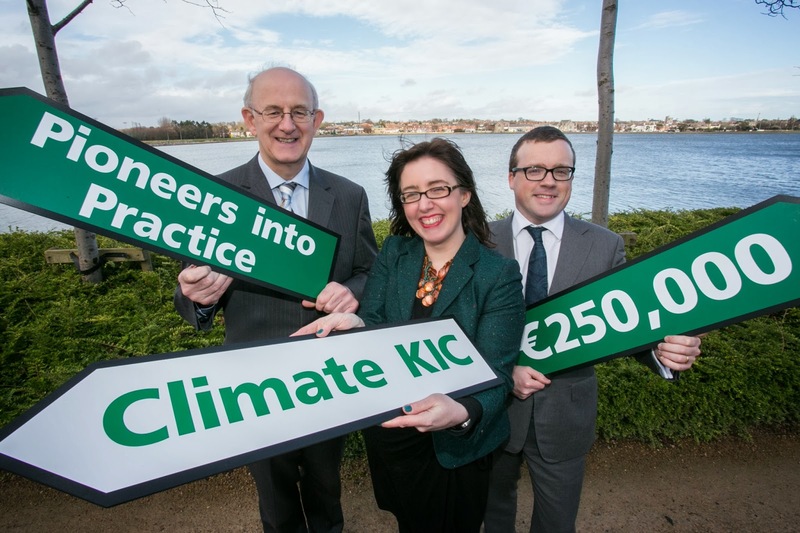 This is the first time an Irish ‘community’ has been selected to join Climate-KIC giving Ireland access to €250,000 in 2014 with potential for further funding between now and 2020. Through an innovative collaboration of Dublin’s clean tech cluster, The Green Way, and Cork’s energy industry network, Energy Cork, €250,000 has been secured in the first year and they are now calling for Irish researchers to apply for the first live programme; Pioneers into Practice. Climate-KIC is the only pan-European network that addresses the climate change challenge and seeks to generate employment opportunities from this area. It brings together academia, industry and individuals to create a community focussed on generating solutions, jobs, products and services. It is organised by the European Institute of Innovation and Technology who mission is to create sustainable growth across Europe. The programme will accept applications from researchers, entrepreneurs, established businesses and other climate change practitioners. Participants will benefit from placements and exchanges, study visits and training courses. Further details of the Climate-KIC partnership and of the calls to participate is available on www.energycork.ie &www.thegreenway.ie . Labels: €250, 000 up for grabs for Irish Climate Change Pioneers!